The distinctive cava II one-light LED wall fixture combines energy-efficient LED technology with a unique solid bubble glass Cube, creating captivating light. 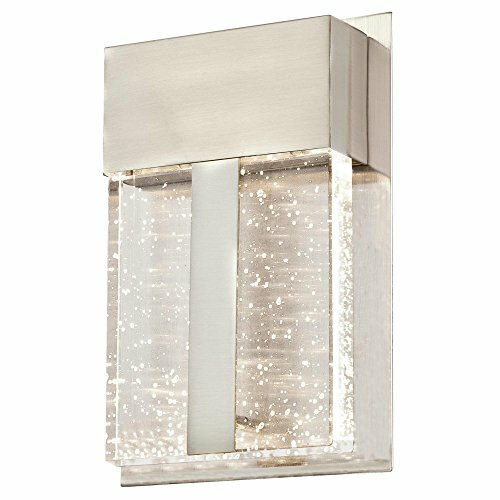 With its brushed nickel finish, this contemporary wall fixture adds vitality to any space. With no bulbs to replace, the 10-1/2-watt integrated LED brings you many years of energy-efficient lighting. Light up a front or back entryway with this wall fixture. Install it on a porch or balcony. This outdoor fixture's contemporary design and durable craftsmanship ensure lasting style and beauty. It is backed by a five-year limited warranty against defects in materials and workmanship. Westinghouse is a trusted, global brand. Westinghouse knows lighting and offers products with exceptional quality, reliability and functionality. Product reference number 63490. If you have any questions about this product by Westinghouse, contact us by completing and submitting the form below. If you are looking for a specif part number, please include it with your message.